Construction crews will begin sand replenishment at Cardiff State Beach this week as part of a project to restore the San Elijo Lagoon. A total of 300,000 cubic yards of sand will be deposited along the coastline with a dredge from Ross Island Sand & Gravel working around the clock, Monday through Saturday, for six weeks. Nearby residents and visitors will likely hear noise and see nighttime lights in the lagoon. 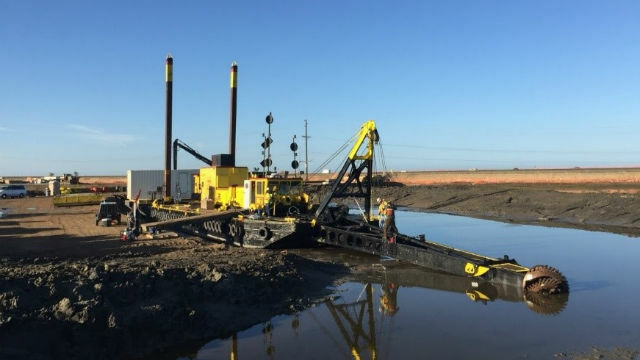 In later phases of the lagoon restoration, crews will replace the sand removed from the lagoon’s central basin with high-nutrient sediment transferred from various lagoon channels to improve tidal flow and overall water quality. Construction under the Build NCC plan began in early 2017 and will be complete by 2021.